I was reading a blog post recently about how someone disliked traveling to a certain country and all the things they didn’t like about it. It got me thinking about expectations in travel and the deep work that must be done sometimes to unpack and adjust those expectations when they clash with the reality of our experiences. We don’t just build our travel expectations from Uncle Bob’s vacation stories anymore. There’s so much input available to us that, as we research travel destinations, it’s almost impossible not to build up some expectations about how we’re going to feel while traveling there. You read blog posts about how much some blogger adored a particular city. 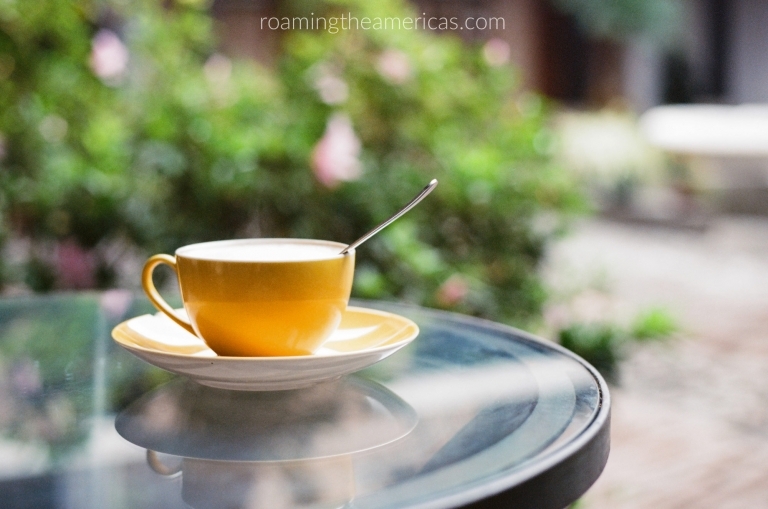 Your mind drifts as you imagine the coffee shops or markets or cobblestone streets. The old men playing dominoes or the fresh pineapple, its juice dripping down your arm, that you can buy for $0.25 from the side of the road. You don’t envision your bus breaking down and being stuck for hours on a mountainside. Or getting mugged or breaking your leg on a sidewalk that’s ridden with potholes. Or the litter problem. The machismo culture. Or just, simply, not feeling the feelings you were expecting to have. You definitely don’t envision driving a couple hours on a dirt road to a village and having the gate locked on your way OUT….and hearing that whoever is coming to unlock it is coming on a horse. 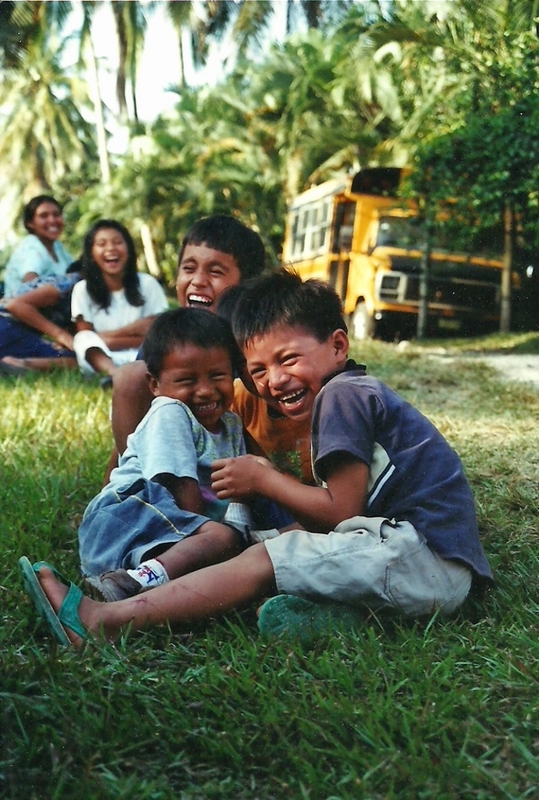 When I was studying abroad in Costa Rica, our last 2 weeks of the semester were to be spent in Guatemala. We had taken several other 2-week study trips–one to Cuba and one to Nicaragua. 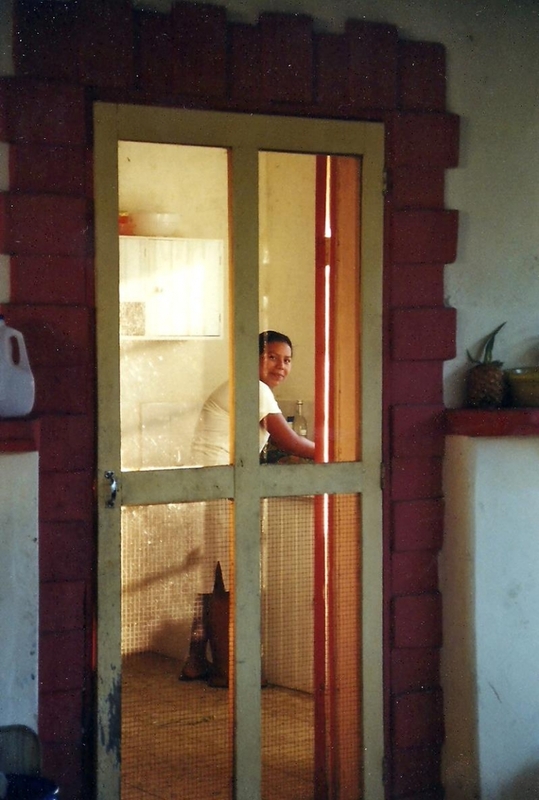 We did homestays in Cuba and Nicaragua, and lived with host families for the semester in Costa Rica. We were 50 students with many different majors–education, business, Spanish, and medicine. And whenever possible, our program facilitators had done their best to place us in projects relevant to our studies. So as we prepared to go to Guatemala, where we wouldn’t be doing homestays but rather volunteer projects, I had high hopes that I would be placed in an education project since I was an elementary education major. I listened as they read the names for a school. Then an education organization working in the Guatemala City dump. Another school. 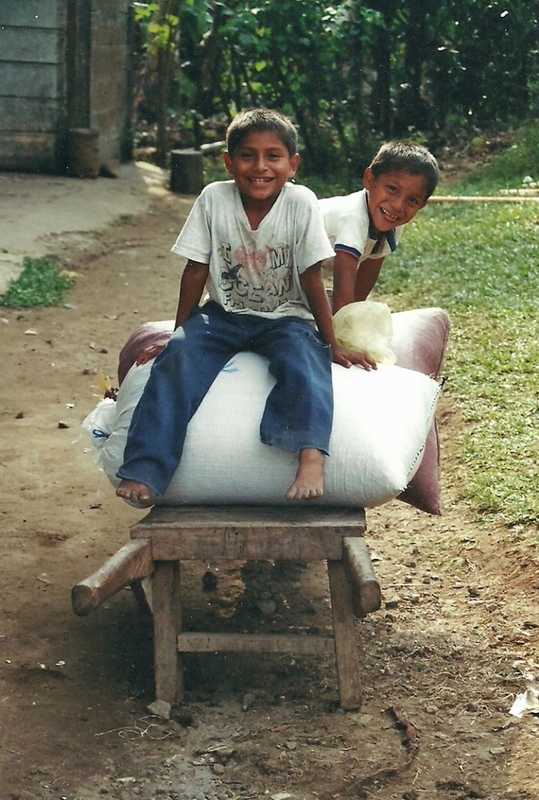 And then…my heart sank as I heard my name for a coffee farm in western Guatemala. A coffee farm–really? There was nothing about it that sounded interesting to me. I swallowed my tears of disappointment in class and as I waited at the bus stop. 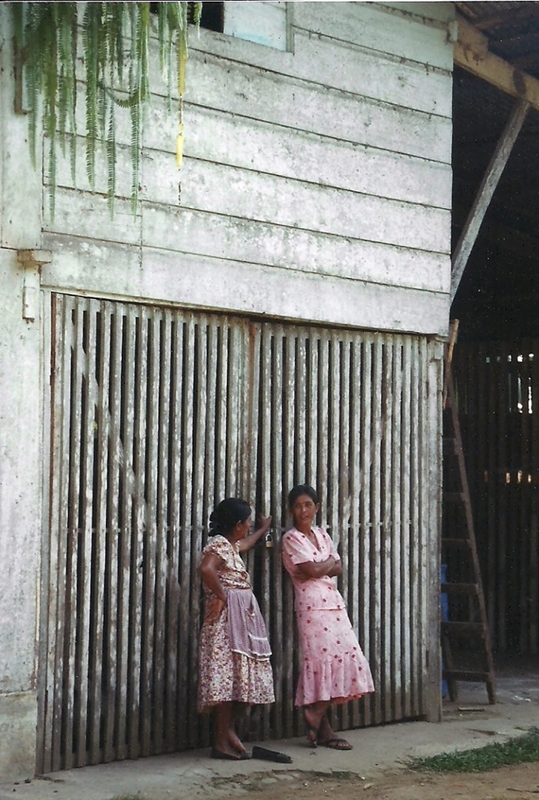 I boarded the bus and, surrounded by Costa Ricans I knew I’d never see again, I hugged my backpack and looked out the window as the familiar San Jose suburb passed by, and I let my frustrated tears fall. My sadness was mixed with a tinge of what I saw as righteous anger. They placed other el ed majors in projects with kids. And me–a coffee farm. I thought about asking if I could switch with someone, but ultimately, whether out of embarrassment or fear or frustration, I accepted what I had been given and tried to remain open to what I could learn. Over the next week as I prepared to leave Costa Rica, my feelings about the upcoming trip fluctuated between acceptance and openness to learning, and deep disappointment. As I arrived at the coffee farm a week later and got settled into the dorm room, I was still struggling to be present and content. One day, during a conversation with the other students who were there with me, I expressed my indignation about the fact that I was an education major and hadn’t been placed in a relevant project. “You’re not the only one studying elementary education, Naomi,” another student said matter-of-factly. She was someone I had known as kind, strong, and who spoke honestly and directly. I knew she didn’t say it in a mean-spirited way, but her words stung. And at the same time, I knew there was truth in them. I think they were the words I needed to hear so I could stop vascillating between self-pity and contentment. I had expectations built up about what that last week in Central America would look like, and I was struggling to accept something that I felt was unfair. But once I was able to reframe my experience and be open to whatever would happen, things shifted. The time I spent on that coffee farm turned out to be one of the highlights of my semester. We hiked through the jungle, picked coffee cherries, raked the beans as they dried in the sun, and enjoyed a fresh cup on the patio with Mark and his wife Ana Maria. We heard what running a coffee farm was like for them and how they did their best to provide as many jobs as possible. 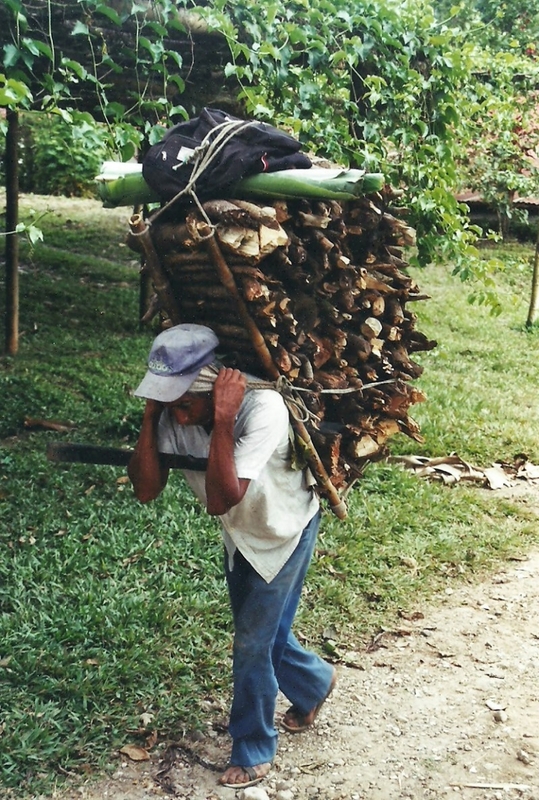 We watched as 65-year-old men carried heavy loads of wood on their backs. We got to know some of the young families who lived there as we worked side-by-side with them, and we ate frozen chocolate-covered bananas with their kids as we rested from the work. *Rocking a film camera back in 2004. I was a bit of a curmudgeon about digital. It can be challenging when our travel expectations conflict with reality, but it’s important to embrace those challenges. I’m not telling you to ignore the negative feelings or that “everything happens for a reason.” And I’m not talking about the really horrible experiences or tragedies that some people have faced while traveling. Recognize your expectations. As you read about a place and make your travel plans, take time to reflect on what expectations you’ve built up. Do you think you’re going to feel a certain way? Are you expecting it to feel like a neighboring country you’ve been to? Sometimes you won’t recognize what your expectations were until you’re actually traveling, so stay in tune with your thoughts and reactions. As you travel, make space for reflection. Whether this is through journaling on your own or talking with someone else from your home culture, processing your feelings and cultural reactions while you travel is so important. Admit how you’re feeling, embrace it, and give yourself permission to vent about the reality of this place. And then, challenge yourself to push past that venting. If you find yourself reacting negatively to what the people are like, reflect on the question about how they might be perceiving you. Do locals seem rude? Maybe the place they call home is now overrun with tourists. Reframe your experience and look for what you can still learn–about this place, about culture, or about yourself. Don’t make an assessment of the place based on your feelings and leave it written in stone. Your feelings may change–now or in the future. Continue to reflect when you return home. This step is so important and often overlooked. Thirteen years after I studied abroad, I’m still learning and being impacted by the experiences I had during that semester. We can’t write off a place just because reality shakes up what we expected. Every place has something to teach us, but it sometimes takes deep work to uncover what it is.